Your favorite entertainment hub, 1904vibz.com comes through with this Juicy Mix titled Goose Bumps Mix-tape which is hosted by Dj Pc Naija. 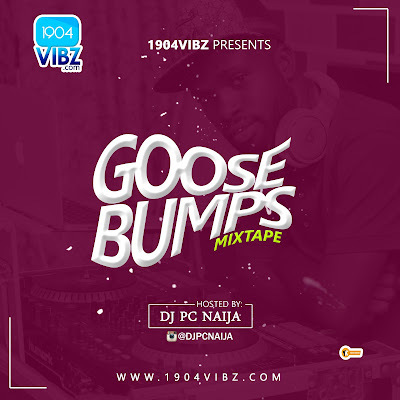 The Goose Bumps Mix-tape houses the best of Nigeria’s chart topping records which would certainly hold you sway all day non stop!! !